Never before has Sergio Azzolini participated in a real film production, but for the first time you can enjoy this amazing musician and bassoonist share his profound understanding of one of the baroque masters, Antonio Vivaldi. 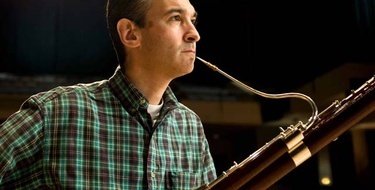 Sergio goes deep into the score and touches subjects such as legato playing, reeds, articulation, attack of notes, the embouchure, emission of air, contra tempo, harmonies, fingers and much more. 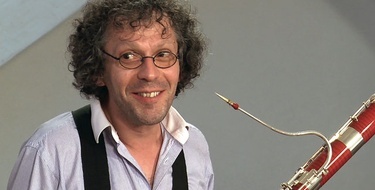 Sergio Azzolini has attracted attention on himself through the many awards received in the international competitions of Ancona, Prague, Belgrade, Martigny, Bonn and München. The EMI record company has booked him for a number of chamber music productions. Intensity and concentration. Sergio Azzolini shares rare insights into how the probably greatest bassonist ever thinks prepares one of the great bassoon pieces. Experimenting is one of Sergio's trademarks. Keeping an open mind, and then try out all possibilities in order to reach the result that he aims for. It's a process where there are no short cuts. But for Sergio it's all about the process. This is such an inspiring video, and a great look into the teaching methods of a true master and genius. A real master! great inspiration! The only thing I would like to say is that this video is awesome! Sergio Azzolini is, for me, one of the best musician all over the world. I looked it several times and each time I learn something new and he makes you disire to play music with him! I advise you to buy this video and it's worth the money. This is one of the most detailed masterclass I have seen. I enjoyed it very much and ecourage everyone to buy it. It is totally worth the money. I have seen it several times and every single time I have learned something new. A fantastoc interpretation about Vivaldi. Sergio shows in this video the differents atmospheres that he does with his unique way of interpretation. Also i could lernt many Tips for catching the attention of the audience and playing this music (baroque) more natural and historically. A video that i recommend 100%. Is amazing to watch this video. Azzolini is unique, especially working the music of Vivaldi.